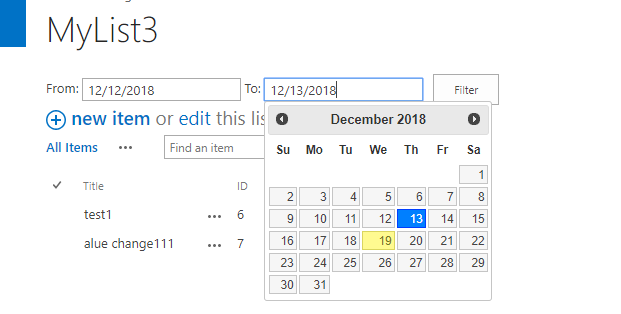 I want to add a date range filter on a list/library. I tried with the out of box date filter web part but it is causing some issue as search box disappeared & no items in the list if the value is null in the filter textboxes. Remove existing querystrings added by our script and gives us a clean URL. var startdate=startDate.format("yyyy/MM/dd");//convert format yyyy/MM/dd. Here we are using the format prototype. Not the answer you're looking for? Browse other questions tagged sharepoint-online jsom filter or ask your own question.